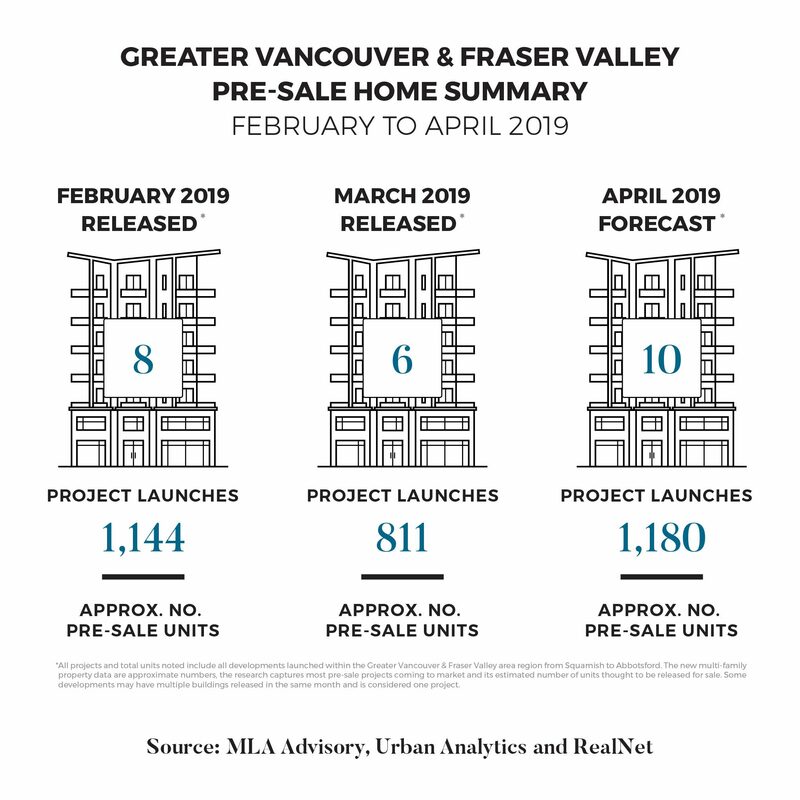 March saw increased sales activity across the six projects that launched, the majority of which were within concrete buildings in Central Surrey and Burnaby. To date, approximately 28 per cent of the units released in March have been sold, which is the strongest activity we have seen in four months. Central Surrey continues to stimulate the market by introducing additional concrete towers, with four projects having been launched so far in 2019. Increased sales activity may further be a result of the prevalent purchase incentives and Realtor bonuses available in most active projects. The first quarter of 2019 saw a number of project delays as developers held off sales to wait for the spring market. To date, 2019 has seen approximately 2,950 units come to market across all product types, a decrease in supply of nearly 40% compared to 2018 at 4,825 units. This lack of supply is troublesome in the long run as 50,000 new residents per year will look to make BC their home. West Coquitlam will be the most active market over the next month as four woodframe buildings will open their doors for sales. Increased competition and new project launches in this market have created an environment with competitive pricing and incentives which favour buyers. We are anticipating 577 woodframe units, and 603 concrete units to come to market over the course of the next month. Read the full March Pre-sale Insights Report HERE.